On Tuesday, Kansas City voters overwhelmingly approved a new single terminal at the airport. Though polls showed it could have been a nail-biter, it wasn’t. The residents came to their senses and decided to move forward. After my post last week talking about the situation, I spoke with Steve Sisneros, Senior Director of Airport Affairs for Southwest about what it would mean if the vote passed. Now that it has, here’s what residents can look forward to. The problems with the old terminal were fairly obvious to an outsider. The buildings were incredibly narrow, and the requirement to install increasingly bulky security equipment made it really challenging to create a decent customer experience. Local passengers loved the ability to get dropped off at the door and walk just a few feet to get to the gate, but that’s just not a practical way to build an airport these days. The customer experience suffered, but sometimes, the airlines don’t care about that. In this case, they did. Southwest is the largest airline at the airport, and it wants to do more. I’ll let Steve explain what has been holding the airline back. Kansas City, geographically, is ideally situated mid-continent…. St Louis is a good comparison because it’s a similar size market and we specifically create what we call ICOs, “Intentional Connect Opportunities” where we create more schedules to create connecting opportunities…. 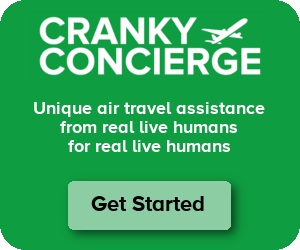 In Kansas City we do have connecting flights but we just don’t have it to that degree [as in St Louis], so the way our head of commercial has described it is that we specifically throttle down [Kansas City] because the customer experience is so bad. Airlines can operate in some pretty terrible facilities (see: LaGuardia), so that’s quite the indictment when an airline says it can’t operate more flights specifically because the terminal is such a mess. It’s not like there’s a shortage of gates, either. It just doesn’t function well enough to support Southwest’s desired operation. Once the new terminal opens, Southwest will have the greenlight to grow further. St Louis might not like that. We specifically flow more over St Louis from a mid-continent geographic perspective than we do over Kansas City, and that’s done purposefully. We have probably 25 to 30 more flights in St Louis than [Kansas City] because of that. Well heck, how could the voters not have approved? Some were concerned that Southwest wouldn’t actually commit to adding 25 to 30 more flights. By the time the terminal opens, who knows what the environment will be like, so that’s fair. No airline can commit to something that specific several years down the line. But this is as clear of a signal as I’ve seen that Southwest will grow. What might those additional flights look like? There are some markets where the local market won’t support it, say Seattle. We may serve it nonstop from [Kansas City] during the summer but not the winter. But if you have connections that flow over [Kansas City], that may turn that seasonal Seattle nonstop into year-round. It’s also not just the number of flights, but the size of the airplane. As of now, Steve says that Southwest isn’t intentionally holding back larger 175-seat 737-800s and MAX 8s. But as the fleet mix continues to shift toward those larger airplanes from the smaller 143-seat 737-700s, it will need to hold back bigger airplanes until the terminal opens. Some were concerned about the price tag (including some comments in last week’s post). Southwest says the price tag isn’t out of line here. If it were a proverbial “Taj Mahal,” Southwest wouldn’t be supporting this. Even though a billion dollars sounds like a lot, there are many things to help offset that cost. Thanks to the cramped nature of the facility today, Steve notes that “Kansas City has one of the lowest concession programs in the country” in terms of revenue generated. A new terminal will change that and start to fill the coffers. With cost per enplanement pegged to about $9 once this is done, the airlines aren’t overly concerned. A few locals may still not be happy that this means the end of the short walk from car to gate, but they can take solace in one huge improvement. Kansas City still does not have an inline baggage system today, so if you check your bag, you have to lug it over to a scanner from the ticket counter after getting it tagged. The new facility will fix all that. Congratulations to everyone in Kansas City for making the right choice. Now… the long process to build the terminal can finally begin. Remember using current terminal when it was just opened, flying Royal airlines, 6-passenger twins from MCI to MHK. Seemed like acres of clear space in Terminal C at the time. And there was. Planes were smaller and less empty in the past. In 1972 the average plane had 42 passengers. Today, it’s 104. So the terminal is going to have 250% the number of people it did 45 years ago. The rate passenger numbers are going up the convenience factor was rapidly going away on it’s own. correction, *more* empty. Planes were 50% full in 1972, 80% full now. I fly in and out of that place once or twice a year. It’s a nightmare. Don’t I remember this being an Eastern Airlines hub? Anyway, I am glad to see the residents realize that this was pretty much no brainer. I don’t see how the current situation is sustainable. Given the rivalry and tensions between Kansas City and St Louis, on opposite sites of the state, this definitely sounds like a win-win-win for KC. Not only do they get a better airport and likely better service, but in doing so there is a good chance that they will be sticking it to St. Louis. Um okay not sure why WN has any problems with STL. They don’t really, the layout in STL T2 works well for them but as an STL based flyer there are times when the concession areas have lines a mile long. They’ve expanded down the old D concourse and they have plenty of room for expansion, but MCI was a mess for connections. I don’t see STL losing anything with a new MCI terminal, but they will probably use MCI for more connections, adding yet another “hub” to the system. Especially with MDW becoming constrained. STL will not lose anything. In fact, KC people need to realize that a new airport does not equal new flights. They need to get over their second rate egos. Not gonna happen until St. Louis people get over the ’85 World Series. 1) does this mean the end of rumors of a 2d KC area commercial airport in southern Johnson County Kansas where a decent % of MCI users actually live? I suspect many would prefer that over longish trek to far north Jackson County MO. 2) as a KC native but longtime resident of New Orleans this is interesting. After yrs of semi-successful renovations to MSY, NO is building a completely new terminal on opposite (north) side of the field. Any comments on it? Process? Comparison to MCI? Yes, it’s hard to see how operating two different facilities in a metro area of 2 million people would make any sense for the airlines. Not to mention, Kansas has no money to put a couple billion dollars into an airport that will be needed anymore. Not to mention, Kansas has no money to put billions of dollars into an airport that there’s no need for after this decision. Remember, they would need far more than a new terminal-they would need all the access roads, parking garage, runways, and all the other infrastructure besides the terminal itself. $10-20 billion is likely. Remember they need a few billion just for roads and infrastructure to support one. KCI has to do none of this to rebuild. Roeland Park is 30 miles from Edgerton, Corporate Woods is 25 miles from Edgerton. I figure even putting it closer off K-10 doesn’t gain that much. So building in Kansas is not a crazy gain in distance for most people in the state and the people nearby would have to deal with the entire city’s airport traffic in their part of town. I’d say a new airport is pretty unlikely, at best. any thoughts/opinions as to new MSY terminal? Comparison to proposed MCI? I really don’t know a ton about the new New Orleans one. I’ll have to try to dig in. The idea moving KCI’s scheduled commercial passenger operations to either of the existing Johnson County airport locations was largely a pipe dream. As you probably already know, southern Johnson County is the location of the most valuable developed residential real estate in the KC metro area. There was NO WAY these residents would accept the perceived potential noise pollution of passenger airliners operating from that area and threatening their property values. I-635 and the westernmost leg of I-435 were completed in the 1980s and 1990s respectively, largely to make the trek to and from KCI much more tolerable for JC residents. Googling articles in KC Star indicates that both of the existing Johnson County airports are far too small/landlocked by (as you note) expensive residential areas to be expanded. Sunflower Ordinance Depot was the only possible location. And it’s in far NW part of county & doesn’t appear to have major highway access. With vote to build new terminal @ MCI the idea of a greenfield airport there presumably is dead even to most ardent Kansas partisans. What would be the cost? $10b? New terminal @ +$1b is way cheaper & plenty of room @ MCI to expand if ever needed. Yes, MCI is 1hr drive for my relatives in Johnson County (north of & just south of i435). If I understood correctly a vote yes costs the voter nothing if they never step foot on an airplane at MCI. Seems kind of a no-brainer in that sense and not surprised the outcome. I’m not local to KC but knowing how these things go the building trades do lobby hard for these too. Not a lot of construction opportunities in the $1B range outside major sports stadiums, airports and Vegas casinos. I still take issue with the idea it will somehow make KC a hub airport. Last week I mentioned the proximity to much larger hubs and if history is any indication “mid-continent” didn’t work for the likes of TWA if there isn’t sufficient O/D feed. Count me as still skeptical, although very willing to admit the old terminals at MCI are well outdated. They are a part of history and the architect in me will be sad to see them go, and replaced with the generic terminals we see all over. [cid:image001.png@01D3593E.FB043E00] NOTICE: Information contained in this transmission to the named addressee is proprietary information and is subject to attorney-client privilege and work product confidentiality. If the recipient of this transmission is not the named addressee, the recipient should immediately notify the sender and destroy the information transmitted without making any copy or distribution thereof. I am immediately notifying the sender that standard disclaimers, especially at the end, carry little weight. I would hope the powers that be in Kansas City and vicinity have learned their lesson about building facilities to please one airline. The cluster of WN focus cities in the area make it possible to shift traffic around depending on costs or whatever other conditions prevail. MCI will be under a lot of pressure to keep its costs low in spite of building its new facility. Absolutely nothing comes cheap these days. There’s also a lot of history to be considered. The current MCI terminal has hosted hubs or mini-hubs for a number of airlines that haven’t survived. I have no great love for Southwest, but I hope history doesn’t repeat itself. Southwest was the voice of all the airlines. We’ve known this for a couple years now. I don’t see anything Southwest-specific about this new facility. Looks like it’ll be more-comfortable and usable for all. MCI might not be a full-size hub but WN is saying that with better facilities it can expand service including adding flights that need some connecting traffic because they wouldn’t survive just on local traffic. There is a good chance that MCI will get some additional service not just from WN but from other carriers. The vote is a positive step to increasing air service and says that cost-neutral projects to the community and which airlines back should be pursued. Excellent news. Kansas City has always been such a pain that I would try to avoid business trips to the area. If others did the same, that couldn’t have been good for the Kansas City area’s economy. I did SFO-MCI-MKE on Midwest (after the F9 merger, all E-175’s) and I remember the small three-gate connecting room being so cramped and hot in March (and I had two small children so it really sucked). The only concession was a small stand that sold cold sandwiches. I’m glad MCI is receiving a well needed upgrade. Good on KC voters for making a smart choice for the future of MCI and their community. Much-needed improvements and anytime Southwest talks about growth like that is a good thing. One comment on WN’s STL operation; while it’s fairly new and airy terminal, my experience is that it doesn’t have enough amenities, either. Lines for restrooms, Starbucks, etc., in STL are always long and there seems to be plenty of opportunities and demand for more concessions there as well. I have family in mid-Missouri, a bit closer to KC than STL, but I drive the extra miles from STL just to avoid MCI. I’m looking forward to that new terminal smell. I wonder how much Southwest will now be able to play St Louis and Kansas City off against each other to extract concessions from their airports/governments. WN is well established in both so I don’t think there will be much “playing off” between the two. MCI will probably see some increased service, but not at any real expense of STL. STL still has the stronger O&D. I noticed the cost concern comments with your last article and think people just overly simplifying the project. For the amount of work being done, it doesn’t seem frivolous. They have to tear down not only an old terminal, but a parking garage, to make room for the new facility. I’m sure the old terminal has things like asbestos, which add to the demolition costs. Then they have to build the new terminal AND a new parking garage. Also factor in the fact that the cost of building materials has soared over the last 15 years and you can see where they come to that figure. I’m sure that fountain the pictures show isn’t cheap, but there’s nothing about this project that screams extravagant. progress isn’t cheap or easy but Americans are extraordinarily gifted people. There are hundreds of shopping centers and stadiums that are being torn down and replaced so an airport terminal certainly seems within the scope of what America can successfully pull off. And Missouri and Kansas will benefit from the construction project even if the benefit is for air travelers and airlines that will foot the bill. Seems to me to be a win-win-win infrastructure project that is well within the capabilities of Americans to do well. Tim, I guess I should have done a better job clarifying. I support the project and thought the criticism of the price tag by some in a previous Cranky post was off-base. I don’t think the price is outrageous and was trying to explain why I think it will cost more than $1 billion. I think this terminal will be a great thing for travelers and the people of Kansas City. ok…. I think everyone agrees that want functional far more than extravagant and I think nice can be done at a reasonable price. This shouldn’t be an expensive project and the people of Missouri and Kansas will benefit during construction and in the future. Also, construction prices in the Midwest are a lot cheaper than in the NE. Good point. Cheaper land, less traffic for hauling materials/debris to/from the site, and cheaper labor (even if it’s still required to be union labor for a public works project like this; not sure if that’s the case in KC, but I know it is in the Northeast) really help construction prices in the Midwest and Southeast. > Also, construction prices in the Midwest are a lot cheaper than in the NE. I lived in KC for 30+ years before moving to the northeast. Never realized what a dump MCI was until I started flying back 4-5 times a year for family visits. (From PWM – what a great airport that is). As MCI stands today, there is no room for improvement and it gives visitors a bad impression of KC (which really is a great city). So glad to read I’ll be flying into a new airport in 2021! Being a frequent flyer out of STL and MCI I can disagree with some of the statements. Currently I live in KC and I’m able to “Park” my car (not in the expensive garage which is much closer) but the regular circle lots and walk about 100 yards to the ticket counters and TSA checkpoints. Southwest might be different but AA, Spirit, Frontier, United all have regular counters to check bags where you hand the bag to them and they tag it. you don’t have to take it to a scanner station (STL does do that). The changes they’ve made in Terminal C with the new TSA lanes with Precheck aren’t bad. I’ve never had a major issue. They could have made the air side a bit bigger with more seating. Even with printing a boarding pass I can usually get from my car and through TSA Pre in about 10 minutes. 20 on a bad day. Try that at many other airports. The whole airport issue in Kansas City Missouri was pushed by the local city government. They tried to ram through a plan with no bid contracts before the public could even weigh in on the subject. So that’s another issue. The voters passed this measure because half the passenger come from Kansas who doesn’t control the airport and the taxes will be on the passengers. I guess that’s fair except where government waste will come into play. I don’t like the new plans because I feel that the all glass terminal plans they have mocked up are going to be a security issue (think OKC bombing issues). I do like glass jetways but with the additional glass in the terminal it will be hard to control the HVAC. Especially when they pimping the idea that it will be a “green” sustainable terminal. The main reason I think MCI needs a new terminal is that the current buildings are just old. They are 45 years old. It may be time to replace them. My prediction is that they single terminal will be built and will be nearly double the cost estimates. It won’t have as many gates as the current three terminals since terminal A isn’t being used currently. That will leave a shortage of gates and space long term. I also predict that MCI won’t get much love from the airline lounges plans either. On the plus side I see MCI gaining a true international Europe flight in the future. Something like Wow or Norwegian is my guess. The amount of glass in the artist’s renderings stand a reasonably good chance likely of being an exaggeration of the amount of glass in the ultimate physical terminal. The airport was pushed for by the KC mayor and city council largely in response to the airlines. Locals outside of the city limits (in Missouri and Kansas) certainly attempted to foist their opinions, but it was the airlines that drove elected city leaders into action more than anything or anyone else. They bought into the idea of economic growth being a likely result of a modern more airline-friendly terminal design. Ultimately, the city could not allocate borrowed funds (municipal bonds) for any major airport project without an approval vote by the citizens of Kansas City. MCI is an inefficient station for airlines. They campaigned for the streamlined cost sharing of a single passenger screening checkpoint for the entire airport, as opposed to the existing dedicated passenger security checkpoint for each small group of (4 to 6) gates. This arrangement requires four or five discreet passenger screening checkpoints in each of MCI’s terminals. The airlines also preferred a single common automated baggage handling system as opposed to MCI’s hodgepodge of dissimilar check-in procedures, differing checked bag screening system locations, difficult interline baggage transfer logistics, and the decentralized bag claim carousels present today. For the MCI traveler like you, who parks in one of the circle lots, walks up the ramp, goes through security, waits inside the gate area for a relatively short period of time, and then boards your outgoing flight – there is not a whole lot in the new single terminal design that will benefit you personally, as you’ve already mentioned. If your key appreciation of the existing airport are its quick curbside to gate attributes, there is not much to get excited about, apart from a shiny new terminal that might attract greater economic benefits to the metro area. The benefits for the airlines are far more significant. All major airlines cater to frequent travelers who spend a great deal of time in airports. These types of travelers hate the current MCI design for good reason. It is simply incapable of providing a number of conveniences at a standard that these travelers come to expect. These types of travelers are more valuable to the major airlines than occasional leisure travelers who bargain hunt for the lowest fares, and who flies just a handful of times per year.